A dirt and dust free home can ensure a healthy living. You can get a clean home by taking our professional deep cleaning services. 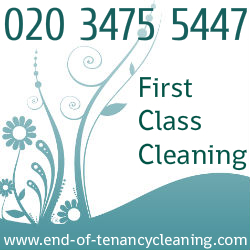 We are always ready to offer you the perfect deep cleaning services needed to maintain your home. Bedroom deep cleaning – we will clean every corner of your bedroom including your wardrobe and carpets. We will also polish the floors of your bedroom if needed. Bathroom deep cleaning – we will not only clean but also sanitize your bathroom. We will de-scale the tiles and clean its floors. We will polish your bath tubs and sinks so that your bathroom gets a new and refreshing look. Kitchen deep cleaning – you can rest at peace of your mind by giving the responsibility of cleaning your kitchen. From its cupboards to sink, floors to ceiling, we will ensure 100% cleaning of your kitchen. Hallways and entrance ways deep cleaning – we scrub, clean, and polish your floors, mirrors and windows to make the hall ways and entrance ways shiny and tidy. Contact us today and know more on our services.